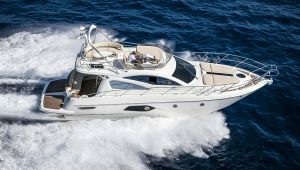 43′ Cranchi Yacht has curved lines, rich in character, she conceals an extraordinary roominess, where the two luxurious cabins and the two bathrooms can be fully appreciated. 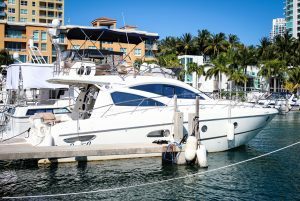 It the the best suited yacht rental within your budget. 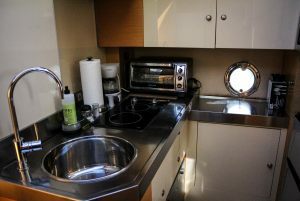 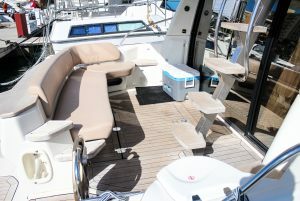 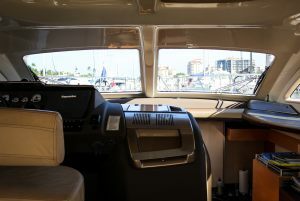 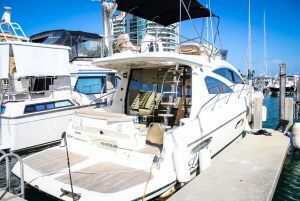 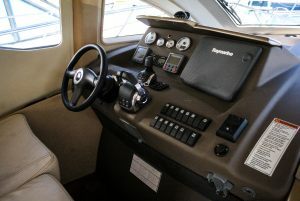 The cockpit features lush teak finishing; the fly-bridge features a dining table that converts to a lounge, a forward sunbed, and a captains station with room for two! 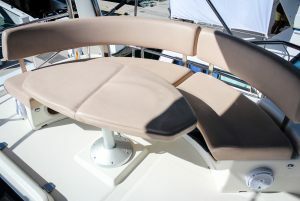 The bow has two large sun pads with an attachable umbrella for shade. 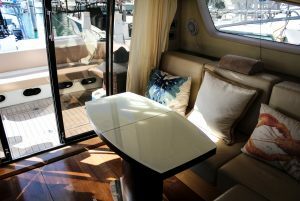 The sound system leaves no words for description, designed to be a concert hall on the water, its clarity next the waves will have you dancing to the sunset! 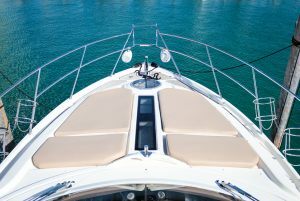 The refined furnishings, accurate finishes and the high quality of the materials used – these factors all make your charter an unforgettable experience, every time. 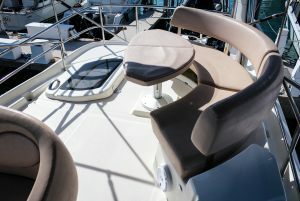 Without presumption, ours is now the most beautiful 43′ Cranchi fly-bridge on the market.